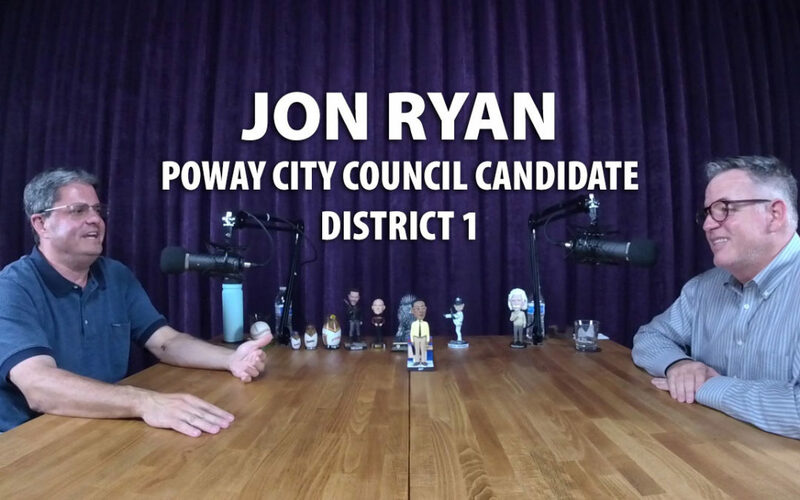 City Council candidate, Jon Ryan, let it rip in a high energy discussion about all things Poway. In his career he’s been a fix-it guy. In his personal life, he’s a dog rescue guy. Jon applied his fix-it and rescue skills to solve problems in Poway using science, reason and common sense. We got into Poway parks, housing density, dogs and even Gus Fring. The Poway Road Corridor plan, the impact of high density housing and Jon’s ideal scenario about Poway Rd are discussed at length. Jon also weighed in on the Stoneridge development, veteran’s housing, the Poway Community Pool renovation and the entire process of the recent city council appointment. Jon candidly shared his thoughts about our current city council and the state of his city council race in district 1. We even got into Better Call Saul, Breaking Bad, Game of Thrones, Back to the Future and Westworld.